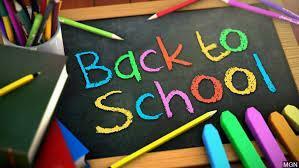 School Starts on Thursday, August 30th! Looking forward to the start of the 18-19 school year at Willmore! School starts on Thursday, August 30th at 8:00 am. Please join us early to take pictures at the front of the school. The front office will open on Tuesday, August 21st from 7:30 am-4:00 pm. Class lists will be posted on Wednesday, August 29th at 4:00 pm at the front of the office. The entire Willmore community will come together to celebrate Cinco de Mayo on May 4th! The Cal State Fullerton Men's Soccer team visited Willmore to read books about character and share with our students about the importance of having character in the classroom and on the field. Willmore wishes families and the community a happy and prosperous new year at its annual TET celebration. Spanish Dual Language Immersion/Coding Academy Information Night on Wednesday, February 21st at 5:30 pm! Register today for our Language Academy to give your children the opportunity to learn the skills needed for the future. Our students are immersed in the Spanish, English, and Coding languages to promote 21st century learning to prepare them for the global economy. Call 714-895-3765 to schedule a tour or register your child and see the amazing teaching and learning going on in our classrooms and Innovation Lab. Don't miss this chance for your children to become multiliterate, multilingual, and multicultural individuals. Code to the Future Epic Build Showcase--A Success! Our Cycle 2 Code to the Future Epic Build Showcase was on Friday, January 26th! Our very own students opened the event with a keynote presentation with valuable information about coding at Willmore, sharing how we transform learning through computer science. The opportunities that computer science will bring our students are unlimited and will become an equalizer to give them the skills and knowledge they need for the future! Our students shared their projects with families and district personnel. It has been a great progression and we are looking forward to what our students will do next! Kindergarten Dual and Traditional Information Nights on Wednesday, January 31st! On Wednesday, January 31st, Willmore is hosting Kindergarten Information Night. Our Dual Kinder Information Night is from 5:00-6:00 and the traditional Kinder Information Night is from 6:30-7:30 pm in the Multipurpose Room. In Kindergarten, students have the opportunity to learn Spanish, English, and Coding (computer science). Come learn about our amazing kindergarten programs and hear about our new online registration. Childcare and translation will be available. Computer Science Education Week was on December 4th-10th, and Willmore students joined the millions of people worldwide taking part in this annual event to promote computer science. In keeping with our school mission to bring computer science education to our students, all classes had opportunities to do some coding as well as explore other aspects of the field. Please click on the headline to view photos. On Wednesday, November 15th Willmore families were treated to a welcome change at their neighborhood McDonald's. In addition to being served by McDonald's employees, children were being catered to by their teachers! Willmore staff members, including principal Dr. Jacobson, were on hand to greet diners, take orders, and serve all the customers. McDonald's generously donates a portion of the profits to the Willmore PTA, and the night was a huge success. Willmore earned over $870 from this fundraiser! But raising the money was not the only benefit. Both parents and children enjoyed the lively atmosphere, and the Willmore teachers loved seeing their students outside of the classroom. Thank you to the entire community for coming together to support Willmore! Please click on the headline to view our video.